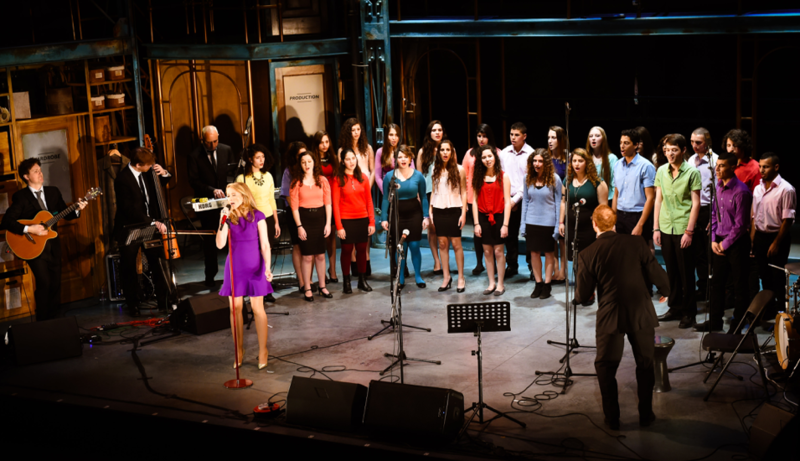 On Sunday 7th December Miel performed at London’s Aldwych Theatre with an exceptional group of young Palestinian and Israeli people from the YMCA Jerusalem Youth Chorus. Miel was invited to perform a unique selection of songs alongside the YMCA Jerusalem Youth Chorus with her talented band, as well as ‘Birds without Borders’ – a song for the vulnerable from Miel’s upcoming album Magnetic, which is available for pre-order from Amazon now. Miel and the YMCA Youth Chorus were singing out for peace, hope, mutual understanding and a better future for all in the Holy Land. The chorus presented its unique repertoire of blended influences of East and West, songs were sung in English, Arabic, and Hebrew, and personal stories of inspiration and transformation were shared by their singers. Founded in 2012, the YMCA Jerusalem Youth Chorus creates a space for high school students from East and West Jerusalem to grow together in both song and dialogue. 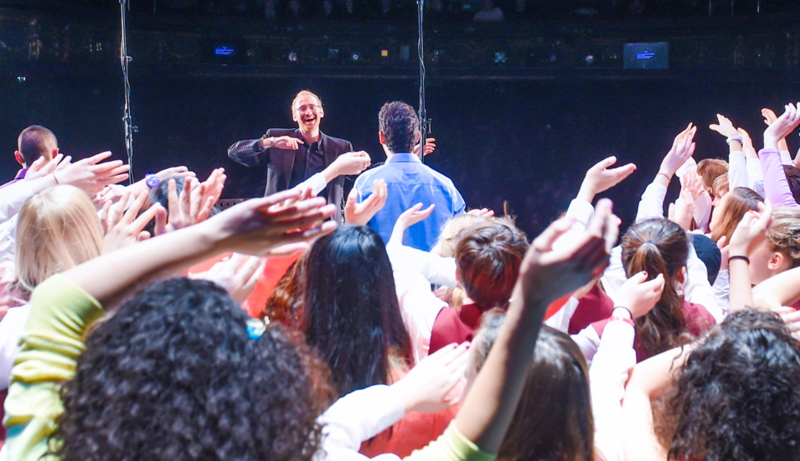 Through the co-creation of music and the sharing of stories, the chorus empowers these youth to become leaders in their communities and inspire singers and listeners around the world to work for peace. Their latest inspiring music video, a cover of Phillip Phillips’ “Home,” has had over 150,000 views on YouTube so far, calling for a Jerusalem that can be home for all. The New London Children’s Choir also performed at the event, a wonderful organisation that gives fantastic singing opportunities to children living in North London aged seven to eighteen. 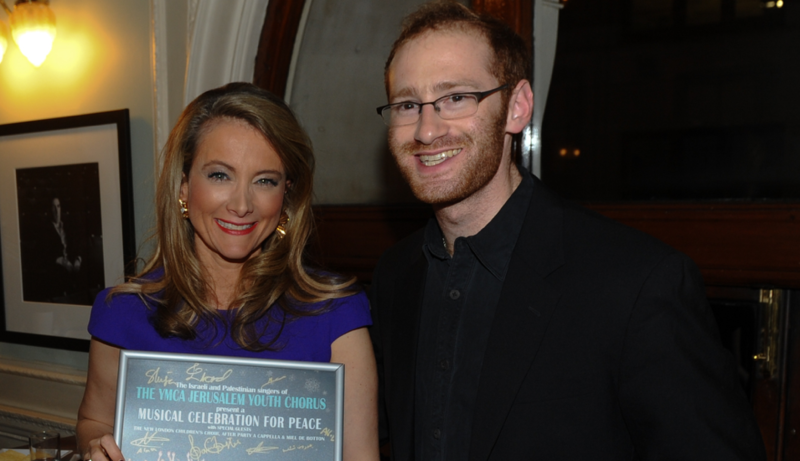 In addition to Miel, the New Children’s London Choir and the Youth Chorus, a unique UK-based harmony and dance group called AfterParty performed with over 60 members together on stage, all singing for peace in what was a very emotional production. The evening was, without question, a fantastic showcase for all that were involved, and a cause that is very close to Miel’s heart. Miel would like to especially thank all those that came to the performance for their ongoing support. To keep up to date with all of Miel’s performances make sure you follow her on Twitter and like her official Facebook page.